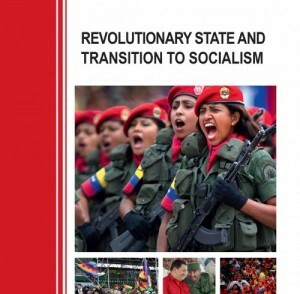 In November 2014, the latest Edition of the 1969 book by the revolutionary organiser and author J Posadas was published in English under the condensed title of: “Revolutionary State and Transition to Socialism”. J Posadas, who died in 1981, could not have known Venezuela in the XXI Century. What he describes in this book, however, is Venezuela as it is today. He shows how to value THE REVOLUTIONARY STATE and advance towards the Workers State. In 2014-15, this book on the REVOLUTIONARY STATE is an essential contribution to the task of building the International of Humanity. This is needed for the anti-capitalist transformation of the world and the defeat of capitalism’s third word war. We fully endorse the concepts as set out by Lenin in ‘State and Revolution’. It is now necessary, however, to incorporate the new elements of history into them. Lenin was writing with one Workers State before him, at a time when the profile of the capitalist State was neat. Today, that profile is no longer neat: in the Revolutionary State, the army no longer has the force, the status and the transcendence of the army in a full capitalist State. Here you see categories of distinct phases of the State in need of definition. We call these Revolutionary States because, under the spur of the revolution, they gradually let go of the capitalist State character. The structure of their relations, institutions and juridical functions continues to be that of capitalism. They maintain that structure, which is capitalist, but they do so under leaderships who declare themselves contrary, and take measures against capitalism.